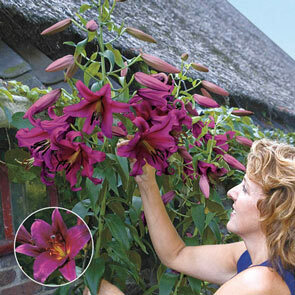 The beauty of the unique purple prince lily tree ensures it looks great in any garden. The vibrant purple on the trumpet-shaped petals makes sure it will be seen atop the thick, long stem that grows to a height that can be appreciated in back borders and hidden corners of a yard. 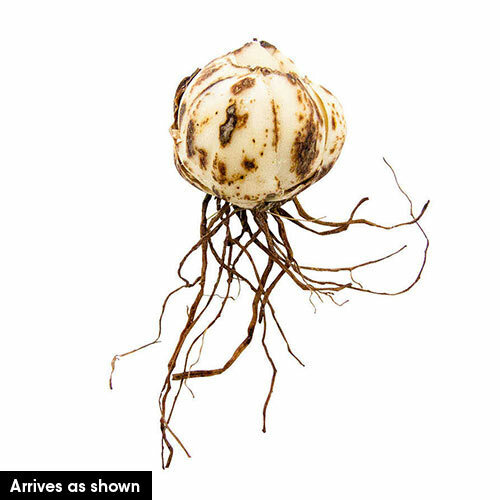 These purple prince lily tree bulbs will bloom mid- to late summer and will bring vivid colour to your space. Plant the purple prince lily tree bulbs in full sun for best results. These showy flowers are easy to maintain and will grow to a height of 6 to 8 feet tall after 3 years of growth. Purple prince lily trees will thrive in zones 3 to 10 and in well-drained clay, loamy or sandy soils. Plant the bulbs in soil 5 inches deep, and space them 9 to 12 inches apart, as they will spread from 6 to 12 inches. Purple prince lily trees are easily maintained flowers that will eventually grow into a shrub-type plant due to its offshoots. Caring for these magnificent flowers is as simple as removing flowers as they fade or wilt and cutting off the stems in the fall. The bold colour of the purple prince lily trees is an excellent addition to your garden. Tall in stature, regal in appearance.